The route itself is fairly straight forward and follows the main roads north. 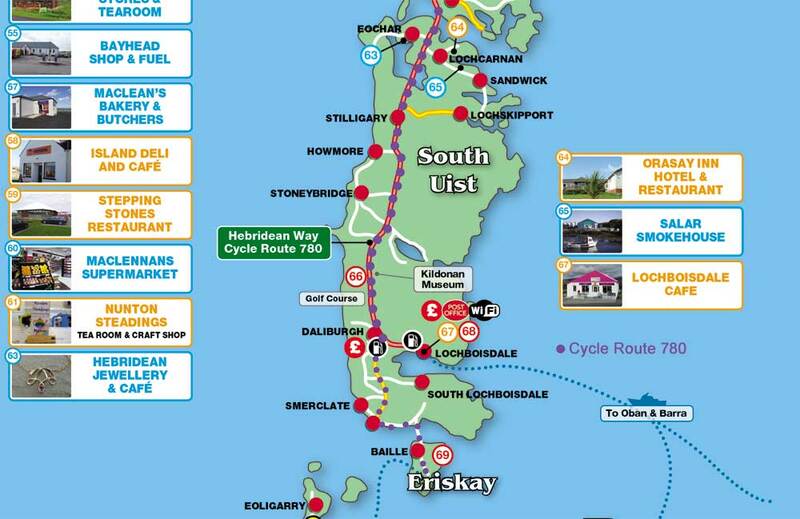 The map on the left shows the general route through South Uist and also points of interest along the way. On most of the maps, we also give locations of supermarkets, cafes and shops that we recommend.